Academic law librarianship may be right for you if you find the scholarly environment appealing, prefer working in large libraries, and enjoy in-depth exploration of legal issues. Academic law librarians are an integral part of the daily life of a law school community. They work closely with law professors and instruct law students in effective legal research techniques. Law school librarians may hold faculty rank, have tenure, or teach courses and workshops, and many engage in their own research, publishing, and other professional activities. In addition, academic law librarians perform functions essential to library operations such as acquiring, processing, and cataloging new library materials; managing existing collections; and disseminating information about the holdings and services of the library. Larger libraries may employ specialists in foreign and international law, information systems, government documents, and special collections such as archives and antiquarian books. Law school librarians generally hold master of library science degrees from ALA-accredited library schools. Law degrees are usually, but not always, required for librarians who work as reference librarians and for some administrative positions. There are law schools in virtually every state in the United States and the Canadian provinces, in large urban centers as well as smaller cities and towns. Law schools vary considerably in size, ranging from less than 200 students to more than 2,000, and the libraries that serve them likewise differ significantly in the sizes of their collections, staffs, and budgets. 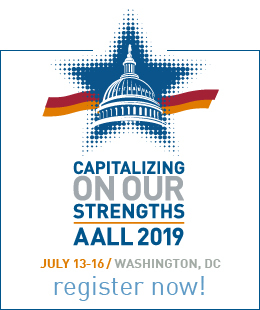 AALL’s Academic Law Libraries Special Interest Section (ALL-SIS) promotes the interests and concerns of AALL members employed in academic law libraries. Learn more about ALL-SIS. Hundreds of law libraries serve the legal information needs of government entities at national, state/provincial, and local levels. Law Libraries are within courts, agencies, and legislative bodies to serve the legal information needs of their employees. Some government law libraries also serve the practicing bar and public. Government law libraries are as diverse as the institutions they serve, which makes it somewhat difficult to generalize about their environments and the services they provide. This variety is in itself appealing to many law librarians. For example, court law libraries are found in every setting imaginable, from federal court libraries that serve large urban areas to relatively isolated small court libraries at the county/parish level. Environments range from the majesty of the Supreme Court of the United States Library to more humble and perhaps under-funded local law libraries. Many court and county libraries serve the practicing bar and the general public as well as the judiciary. In the United States, legislative bodies such as the U.S. Congress and many state legislatures have their own law libraries or at least access to government libraries that support legal research. Many federal and state agencies/departments also have their own law libraries. Government law librarians generally hold master of library/information sciences degrees from ALA-accredited library schools. Some also hold law degrees or public administration degrees, but these are not usually required except at the largest libraries. AALL’s Government Law Libraries Special Interest Section (GLL-SIS) represents librarians working in government, state, court, and county libraries. GLL-SIS provides a forum in which members pursue common concerns. While GLL-SIS members libraries’ parent organizations and missions vary, members of GLL-SIS share a dedication to providing and improving access to justice. Learn more about GLL-SIS. If private sector employment appeals to you, consider a career as a law librarian in a law firm or the legal department of a corporation or other association. Private law librarians work wherever there are larger law firms and corporate legal departments. These tend to be in medium to large cities and their suburbs. Private law librarians provide a broad range of services determined by the size and nature of the parent organization, the scope of their library collections, and the size and training of library staff. Although some private law libraries are sufficiently large to provide support specialization of librarian functions, most private law libraries are relatively small and therefore require librarians to perform many functions such as reference and research, processing and cataloging of library materials, and personnel supervision. In larger firm libraries, there are also Chief Knowledge Officers and Library Directors who provide strategic advice to their organizations on knowledge workflow, integrating international and external knowledge, information risk management, contract negotiation, and firm-wide information policy issues including copyright compliance. Providing hard-to-locate information on a timely basis is a key role of private law librarians. Typical reference services include database searching, bibliography preparation, client development and marketing support, and current awareness programs. Private law librarians commonly perform research in non-law areas such as corporate, financial, market, medical, and news. Many private law librarians use their Information Science skills to manage their parent institution’s business records, litigation dockets, and in-house education programs. Private law librarians generally hold master of library sciences degrees from ALA-accredited library schools. Some also have law degrees, but these are not usually required. 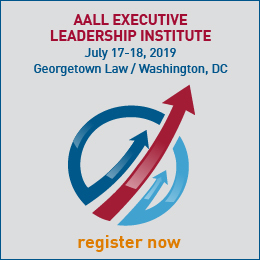 Established in 1977 AALL’s Private Law Librarians & Information Professionals Special Interest Section (PLLIP-SIS) is the largest special interest section. PLLIP aims to improve the quality and service of private law libraries by emphasizing the goals, needs, and special interests and to represent its members’ interests and concerns within AALL. Learn more about PLLIP-SIS.